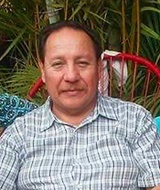 Do you have information to share about the life of Juan Francisco Romero Gordillo? The Homicide Report needs your help. E-mail us at homicidereport@latimes.com.